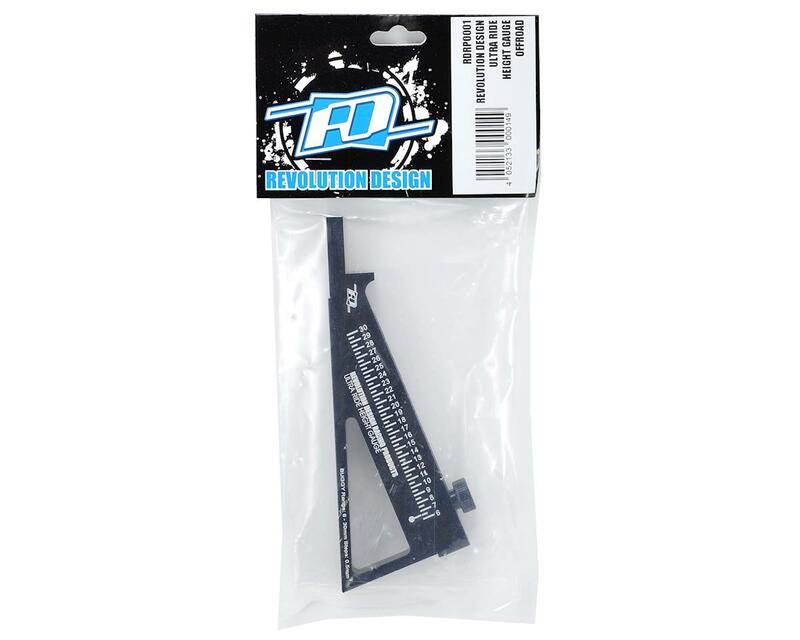 This is the Revolution Design Racing Products Aluminum Off Road Ultra Ride Height Gauge. Ride height is a critical adjustment for off-road vehicles, and has a huge affect on the overall grip the suspension can produce. Correct ride height settings can help to prevent the chassis from traction rolling on high-traction surfaces, as well as help generate more grip on slippery tracks and this gauge will allow you to measure the ride height of your chassis with incredible precision. A tough yet super smooth dovetail guide supports the upper gauge arm while the laser-etched scale with 0.5mm increments helps you to set the ground clearance between 6 and 30mm. 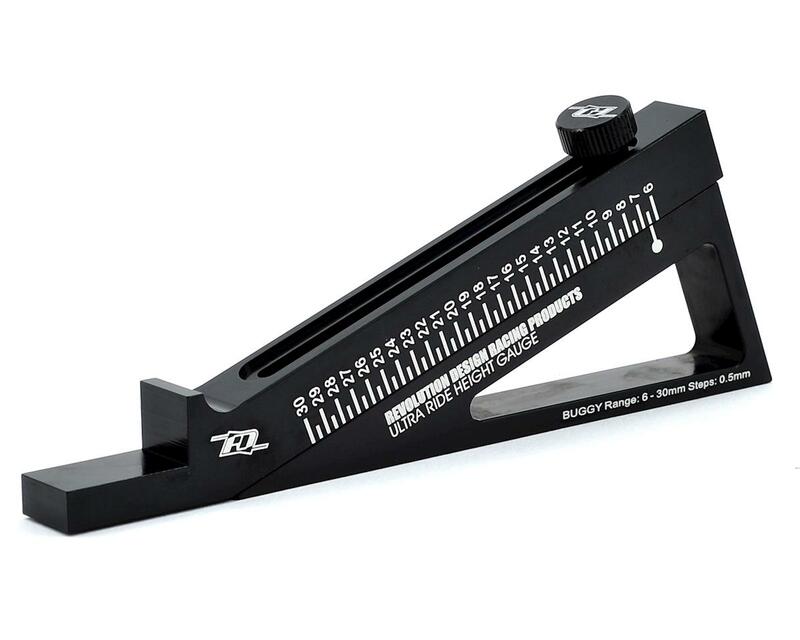 The Ultra Ride Height Buggy Gauge is CNC-machined from 7075-T6 aircraft-grade aluminum for durability, with a shiny black anodized finish for good looks. The gauge is designed for use with 1/10 scale and 1/8 scale buggies and trucks, as well as any other vehicle with a race-ready ground clearance from 6 to 30mm. Very well made but hard to use if your chassie isnt perfectly on the edges,stick to the Losi or the over priced Associated .